During my interview on WWL-AM/FM host Tommy Tucker asked me to share key parenting tips. The topic addressed included: can you be a friend and a disciplinarian? If this topic is of interest, provided is the interview which took place on 11/12/14. 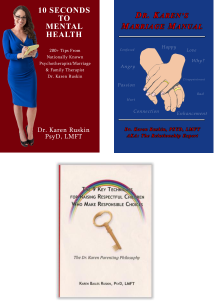 If you desire additional practical parenting techniques/tips for having a healthy parent-child relationship, I invite you to check out my book: 9 Key Techniques For Raising Respectful Children Who Make Responsible Choices.